UPS, SPD and power conditioning systems provide valuable protection for critical IT, Telecommunications and electronic systems against power related problems. The UPS is typically equipped with a battery to provide short term (5-30 minutes) ride through. Many critical applications require long term ride through to protect against prolonged power outages. These longer term outages can be caused by natural disasters and failures of utility and local power delivery infrastructures. Environmental support systems such as air conditioning are typically not supported by the UPS. These systems can typically be down for short periods without jeopardizing the integrity of the critical IT and telecommunications infrastructure. However, prolonged power outages and the resultant loss of these environmental systems can be serious and result in the inability to continue operations. The stand-by engine generator system can provide long term ride through for sustained utility power disturbances. A natural gas or diesel fueled engine drives a high quality electrical generator to recreate the AC source. An automatic transfer switch selects between the utility and generator output and provides the start signals for the generator upon failure of the utility source. The UPS and critical support systems such as air conditioning and lighting are powered from critical load panels from the output of the automatic transfer switch. 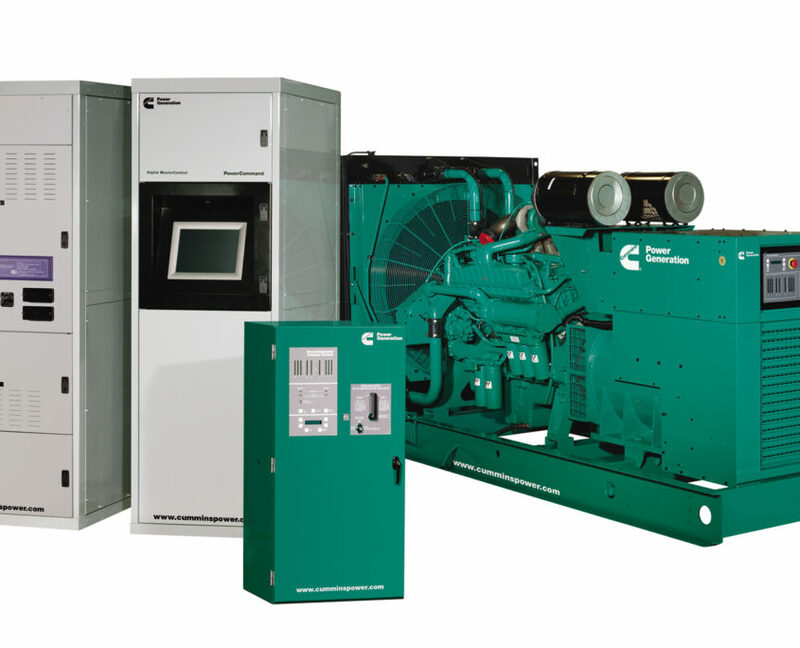 Kramer Datapower, Inc. provides engine generator solutions from leading manufacturers. Please visit our manufacturer’s website or contact us to learn more about these products.